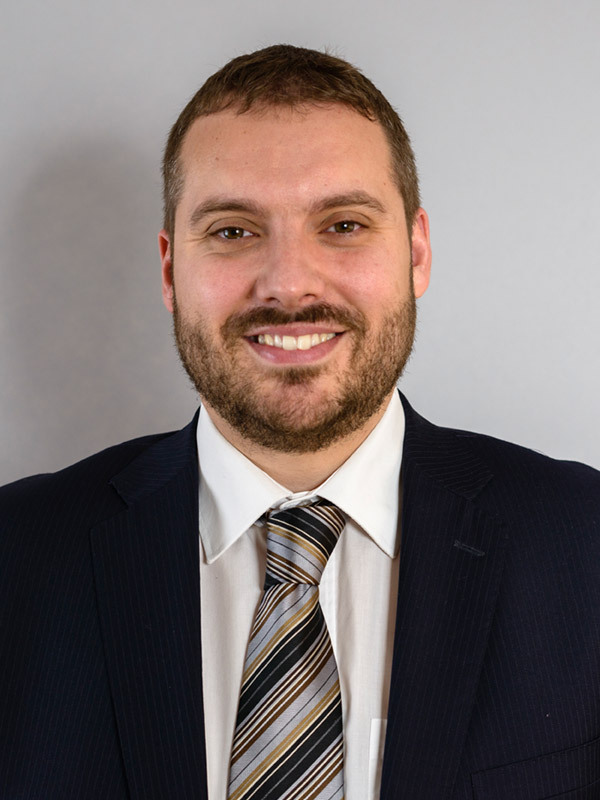 Giles is a Solicitor and Head of our Residential Conveyancing Cluster at the Belper Office, he has 5 years’ experience in Residential Conveyancing work. Giles was born in Kent and attended at St Lawrence College before studying Law firstly at the University of Plymouth and then completing postgraduate study at the University of Exeter. Giles trained and qualified as a Solicitor with Ellis-Fermor & Negus, first joining in 2005 he originally practiced in the area of Criminal Law. From Ellis-Fermor, Giles joined a firm in Lincolnshire in 2010 and whilst there continued to practice in the area of Criminal Law before returning to join our Residential Conveyancing team in 2015. Giles enjoys the challenge of Residential Conveyancing, he particularly enjoys having contact with his clients and doing all he can to help them to minimise the stress that can be caused through what is usually an exciting but stressful stage of life. Feedback from Giles’ handling of matters is that he is thorough, friendly, approachable and able to explain things in a way which clients find helpful. Giles’ ability and willingness to keep clients updated and communicate with his clients is often complimented in feedback from grateful clients at the close of transactions. Giles also continues to complete annual professional development courses in Residential Conveyancing to ensure he keeps up-to-date on changes in the law and processes involved. He has a particular interest in Equity Release Mortgages. Giles lives in Beeston in Nottingham, he is married and has a young family. He is a member of Beeston Free Church and enjoys Rugby, Surfing, Cycling, Film, History and Photography. Everything was made really simple and Giles couldn't do enough for us. Both property transactions involved some complex issues which Giles handled calmly and competently. As a first-time buyer, I had a lot of questions and concerns. But Giles and his team were brilliant and made the house buying experience very simple. Thank you. Mr Tyas dealt with our matter in a most professional manner, and ensured that all of our questions were answered. Couple that with his friendly character, and you have the ideal solicitor. Giles was very polite and friendly - he explained everything in detail to me. Would use again! Fast, clear, helpful responses. Gave guidance throughout process - seamless. Very friendly, conscientious and excellent services. The service I received was exemplary. Giles was very communicative and informative, and I felt I was given all the support I needed. There was continuity of excellent service from David Wells to Giles. You honoured an agreement made over the indemnity insurance without fuss. The whole matter was dealt with deploying speed and precision. Highly responsive and on-time. Great stuff.